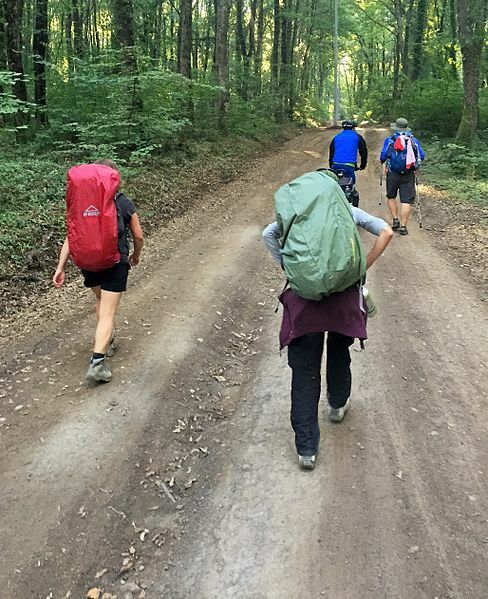 The Camino de Santiago is for most pilgrims a vital, personal, even spiritual experience, but we must never forget that walking or cycling the path is always a physical experience and our body has to respond. Tuning the body involves some training which will differ depending on the distance and the route you want to take and certain personal considerations. Yes, even athletes or seasoned hikers should take into account the particularities of the Way. For example, the fact that this experience requires walking with a weight on our shoulders: the backpack. But there is no need to panic : most pilgrims and guide writers on the Camino authors agree that three months of preparation is enough. There is no need to train every day, depending on the time available one can hike at weekends- one day a week at the beginning and then gradually increase it to two (Saturday and Sunday) as we advance in our preparations. Ideally, of course, you should be able to walk several days consecutively at the end of your training. The important thing is to prepare each day by walking greater distances, so that one reaches a daily average of between 20 and 25 kilometers. Although there is no norm and distances can be adapted to the individual pilgrim. In any case, it is best to start with modest distances and then gradually increase them. Regarding the backpack, it is normal to begin training without it and then, once we are accustomed to walking, to start using it too. It is important that the weight of the backpack tallies with the one we shall be carrying when we take to the road, for in this way our body will get used to it and our knees and ankles will be strengthened.